Our Spring learning in Nursery is based around the topic of ‘Peace and Conflict’ focusing on What is fair or unfair and the importance of caring and sharing. During the term we will be reading the core text ‘Oh No George’ by Chris Haughton to introduce think about learning how to do the right thing and draw awareness of the effects of actions on others and to identify how others are feeling. We will be looking at the care and time involved to help a dog to behave positively whilst thinking about how we also learn to improve our own behaviour and relationships with others. During the rest of Spring term, we will be exploring the text ‘’Iris and Isaac by Catherine Rayner” learning about the importance of caring and sharing. 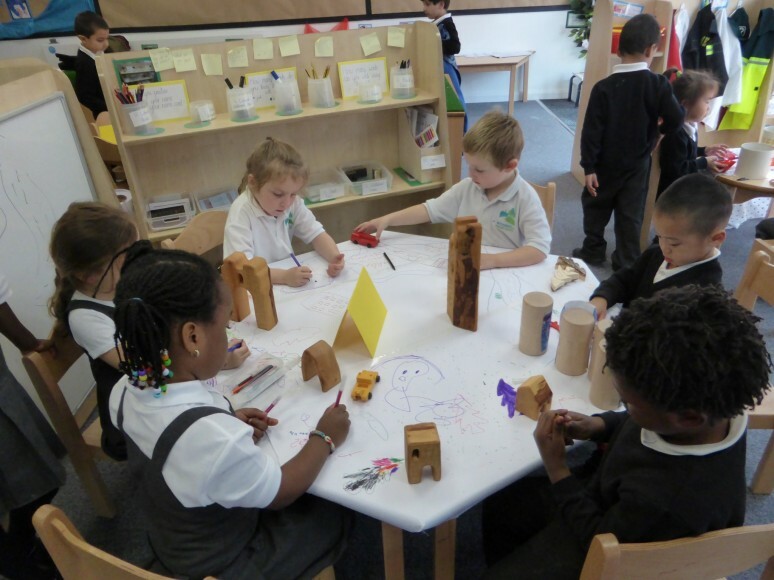 As Early Years curriculum is divided into 7 areas, our main focus in Nursery for this term will be on the children’s Personal, Social, Emotional and Development as we settle the new children into Nursery routines and codes of behaviour. All of these will be developed through our topics for the term. Phonics will be introduced in the second half term for the January starters. We will continue to encourage the children to develop their fine motor skills through drawing, tracing, painting, play dough and threading. In Literacy, we will be focusing on finding out about animals, their characteristics, and how to care for them. We will learn about some of the different jobs that service dogs do to keep people safe and well. We will also link this to how we think about the choices we make to behave nicely. We will use these experiences to make predictions about what may happen in different scenarios. As we welcome the new children into nursery we will continue to develop our skills at listening to others, turn taking and expressing our views to support each other. In sharing our experiences, we will identify people’s feelings and how we can help each to get along peacefully and happily. In Mathematics, we will focus on sequencing time and saying what events happen at different times of the day. We will also be learning about the features of different 2D shapes and identify the position of objects. We will continue to use identify the numerals and use number in our everyday lives in the class and in our community and beyond. 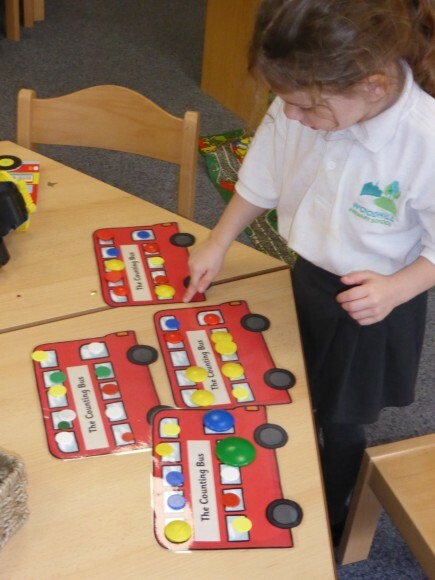 Nursery children will continue to consider growth mindset within their curriculum in line with the rest of the school. 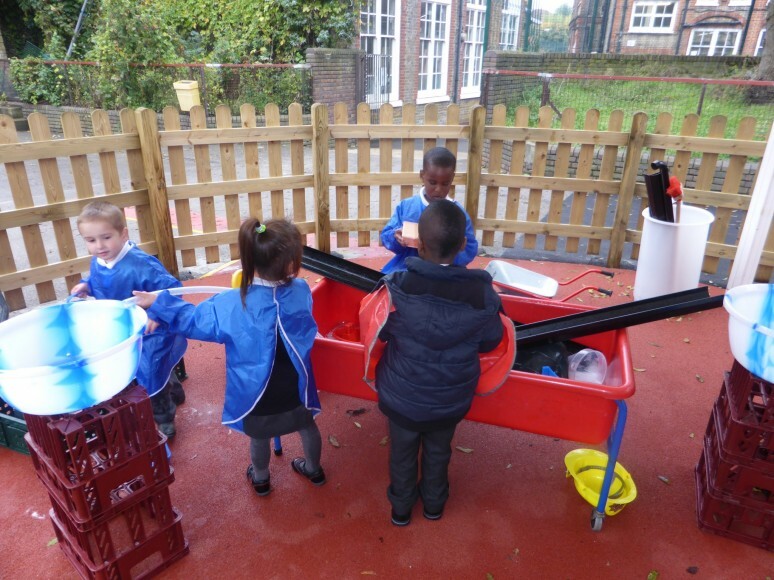 This will be through their everyday learning but to a deeper learning as children will be given the opportunity to challenge themselves and each other to get the best out of their learning and to understand why they have learnt something. 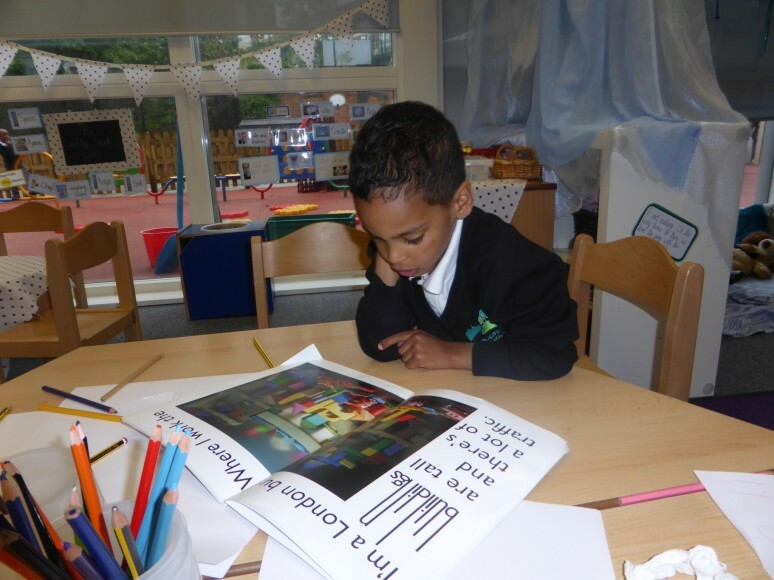 Parents and carers can support their children's learning at home through reading with them every day, helping them to develop their mark-making and writing skills to write their name and to recognise and talk about the shapes they see. If you would like to discuss more about how you can help your child at home, please see your child's class teacher. 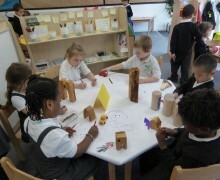 During the Spring Term our learning in Reception will be based around ‘Sustainable Development’. During the first half term we will be reading the core text ‘Where’s the Elephant?’ by Barroux. We will be learning about endangered animals, their habitats and the impact humans are having on their survival. We will investigate what living things need to survive. During the second half term, we will continue our theme of ‘Sustainable Development’ through the core text ‘Christopher Nibble’ by Charlotte Middleton. We will focus our learning on the plight of the honeybee, planning and planting a bee friendly garden. 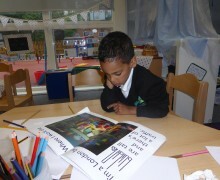 In Literacy we will continue to develop our phonetic knowledge through reading and writing. We will be applying our phonic knowledge in Spring One by reading information about endangered animals and creating our own stories about them. We will use our stories to advocate for change and to share how humans can help protect animals. In Spring Two we will be applying our phonic knowledge by writing fact-files for the honeybee and producing a guide for how to look after bees. In Mathematics, we will continue using Numicon to practise recognising numbers to 20, counting forwards and backwards and recognising one more and one less than a given number. We will also be exploring number bonds to 10. 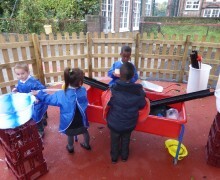 Additionally, we will be developing our understanding of capacity, size and weight through practical activities. During the Spring Term we will continue to identify opportunities to develop a Growth Mindset in our learning, and use our understanding of the school values developed in the Autumn Term to guide our choices at school. Parents can support their child's learning through reading with them every day and discussing the stories that they have read, and by taking children to the local library to read about our topics. 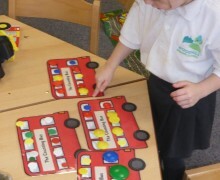 Practicing counting and number skills when out and about will support children’s development and understanding in Maths. In line with the termly theme based on ‘Sustainable Development’, you could research an endangered animal and identify ways humans can help protect their environment. If you would like to discuss more about how you can help your child at home please see your child's class teacher. We welcome parental involvement in the life of our school and are actively seeking parent volunteers for our class trips and classroom support. Please speak to your child’s teacher if you are able to help.